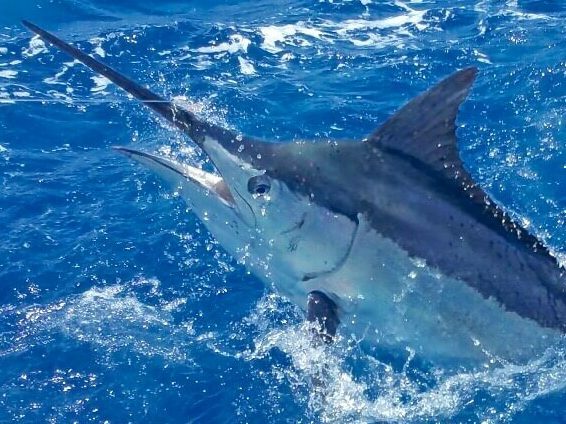 Light Tackle Sports Fishing off Cairns produces consistent numbers of juvenile Black Marlin along with other light tackle sport fish, including Spanish Mackerel, Sailfish, and Tuna species. 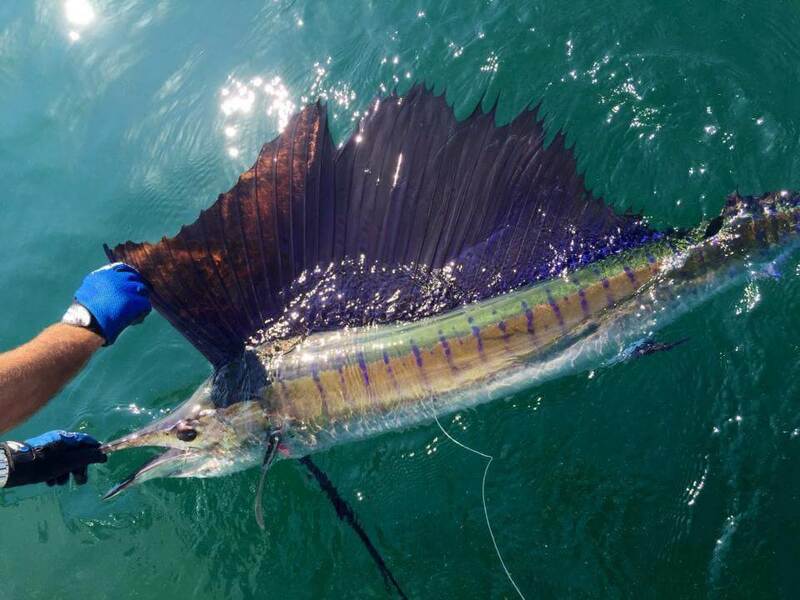 The billfish and different pelagic’s come to feed on the inner bait grounds inside the Barrier Reef on their annual migration to the south later in the year. 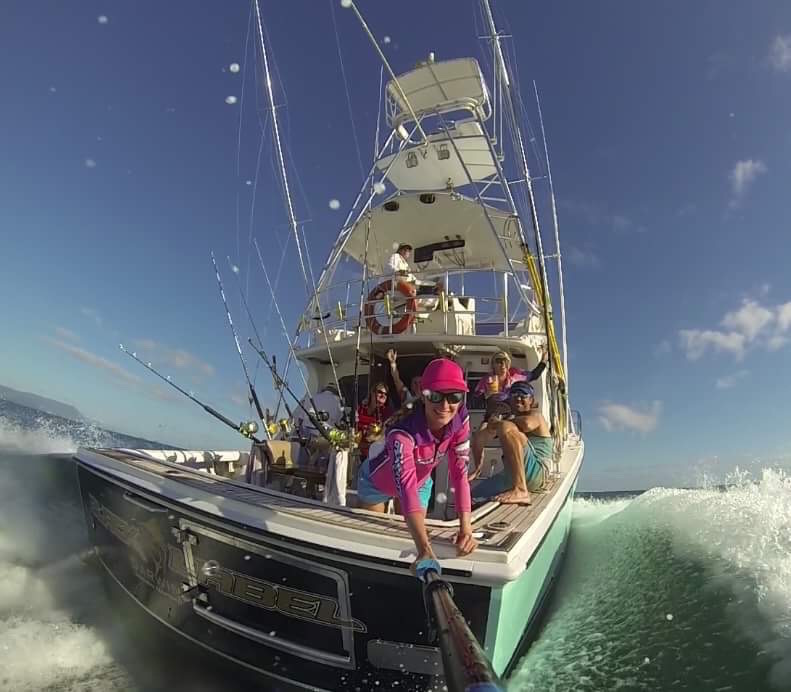 The Black Marlin off Cairns is a world famous Game Fishing Destination among Heavy Tackle Anglers. Every year the 200 mile stretch of the Great Barrier Reef from Cairns and Cooktown to Lizard Island and the famous Ribbon Reefs the female Black Marlin arrive along the reefs edge (September to mid December ) and this coincides with the congregation of the smaller male Marlin 200 to 400 pounds. 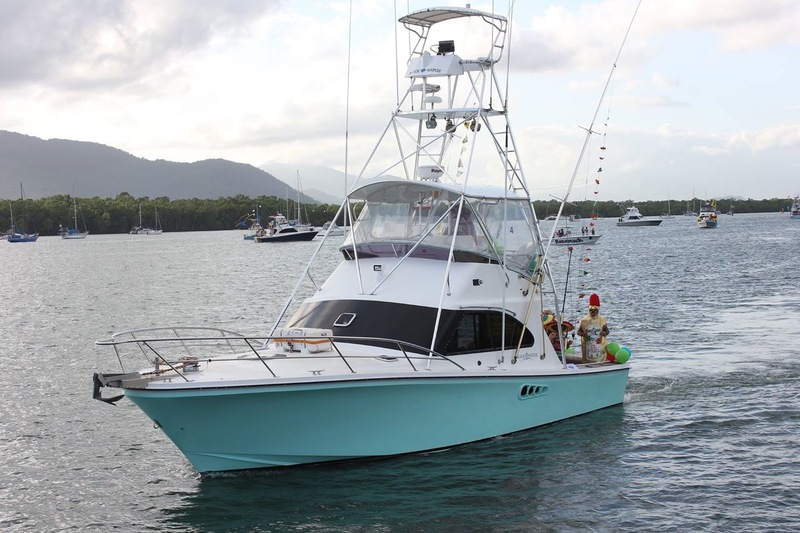 BLACK LABEL is a custom built 40ft game boat by Blackwatch Australia. Black Watch established a reputation in the rough waters of Australia for speed, comfort and dryness. With standard twin 450 HP power Cummins Engines the Black Watch 40 will deliver an approximate speed of 30 knots with a sizeable load, with a comfortable cruise on 22 to 26 knots. Acceleration of the vessel is sensational with maneuverability which is often described as one of the best in the business. Black Label is a large vessel for her size and the extra beam gives the opportunity for a bigger layout inside the saloon,and more comfort for guests whilst on a live aboard charter staying out on the Great Barrier Reef. The business end of any game boat is the cockpit and Black Label has plenty of room for a full size FT LAUDERDALE BLUEWATER teak game chair for heavy tackle and then a single rocket launcher is placed for the light tackle sports fishing season to give even more room on a large deck, under floor hatches and fish bins, Lees adjustable heavy duty rod holders, 32FT RUPP double spreader outriggers, flybridge teaser reels and covering board down rigger. 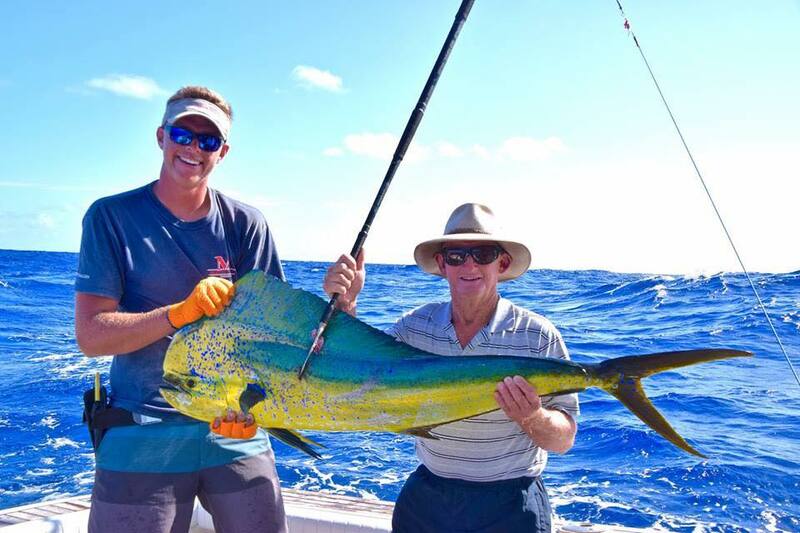 Plenty of space on back deck to fish 6 anglers comfortably whilst out on reef charters. Forward in Black Label is a 4 berth cabin with above head storage and forward cupboard to keep personal items safe and secure. To starboard is a spacious cabin with 2 large single bunks and wardrobe. Coming aft and to the starboard side is a spacious bathroom with separate shower cubicle. 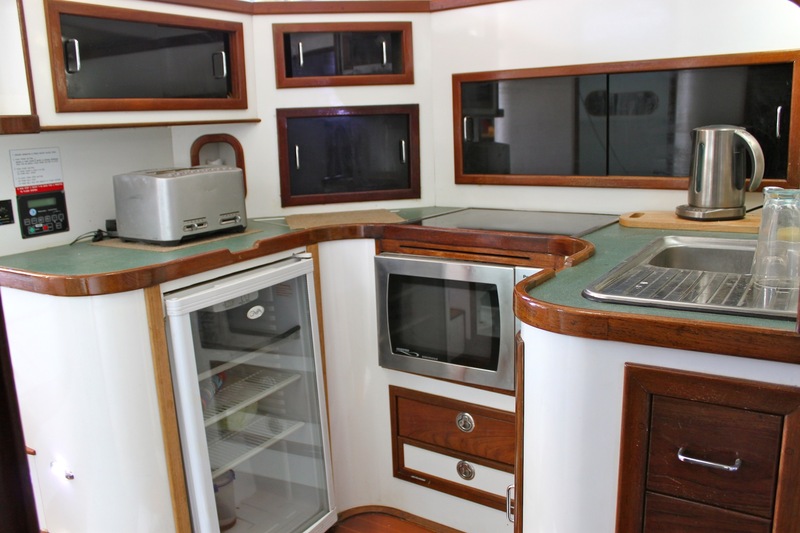 The galley is well fitted out with convection microwave and electric cook top and 12/240 Engel fridge and plenty of storage space. 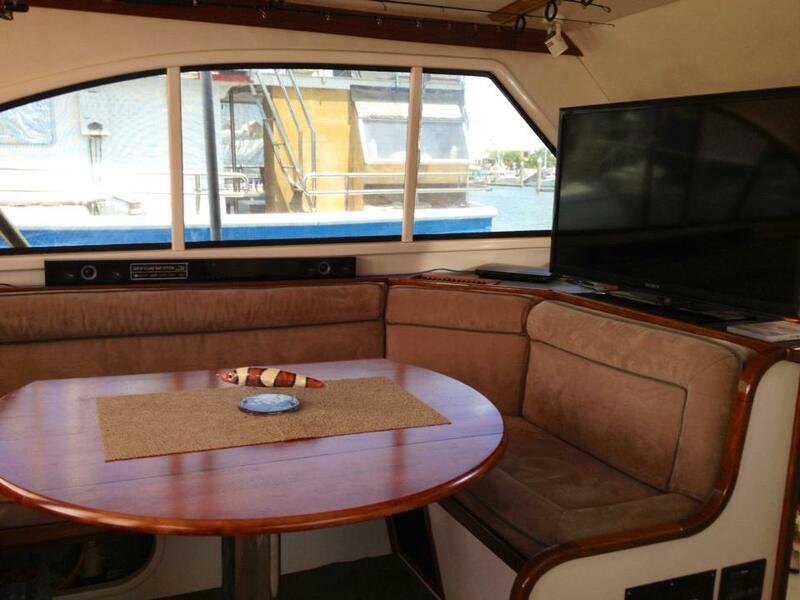 The saloon has a large settee and dinette to port and on the starboard side is another comfortable lounge, ice maker and swing around custom flat screen TV unit and Blueray Player. 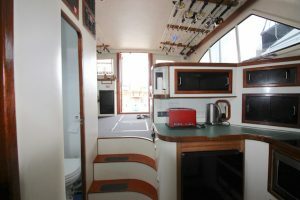 The cockpit and flybridge is well fitted out with heavy-duty rod holders, single piece outward opening transom door, flybridge mounted rocket launchers, 200 litre cockpit fridge, tackle stations with storage, removable under floor cockpit lockers, cockpit hot/cold shower and padded cockpit coamings.